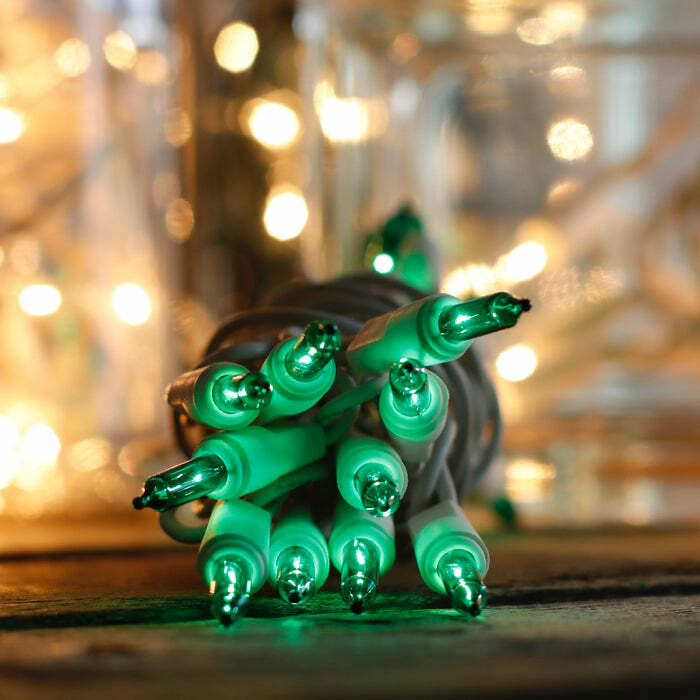 These green craft lights are a favorite with our customers who enjoy do-it-yourself projects. They are ideal for all manner of projects, but especially striking in clear glass applications. White wire works well with clear wine bottles, vases and ornamental bowls. Each light string has 15 bulbs, with almost 4 feet of lit length. The 3 foot lead wire makes an extension cord unnecessary in most applications. 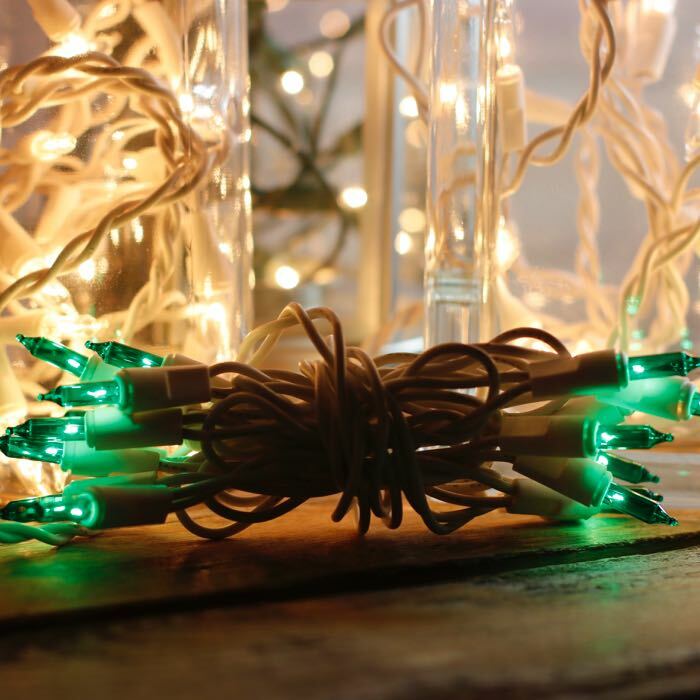 Consider combining these green craft lights with red lights for Christmas or clear lights for winter parties. Let us know how you are customizing these craft light combinations in your projects. I ordered a pretty large amount of lights for an art show and these came in fast and perfect. Arrived a little sooner than they'd mentioned, and the lights were packaged very nicely, making it easy to tell which was wich. Very happy! Will order again! They ASLWAYS get my order right. i always get EXACTLY what I ordered and within 3 days, which is awesome to me.